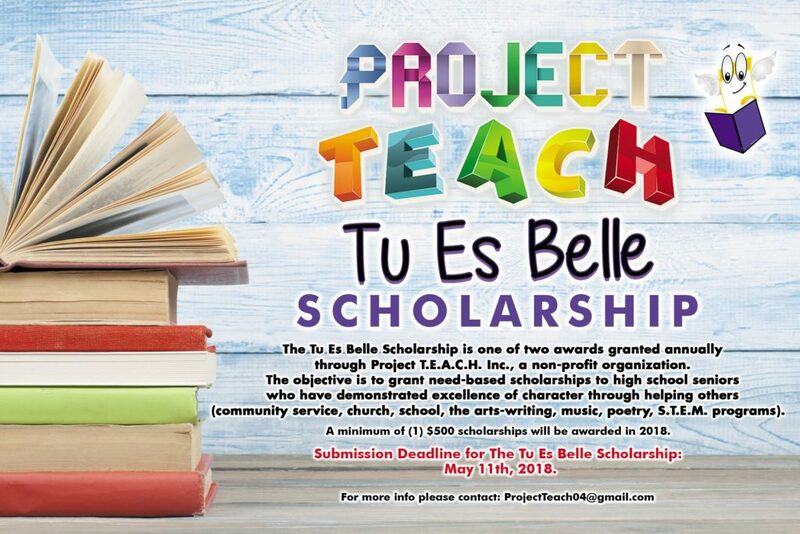 The “Tu Es Belle” Scholarship is granted annually with Project T.E.A.C.H. Inc., a non-profit organization. The objective of the “Tu Es Belle” Scholarship is to grant need-based scholarships to high school seniors who have demonstrated excellence of character and or are making a difference by helping others through; community service, the arts-writing, music, poetry, and or S.T.E.M. programs. A minimum of (1) $500 scholarship will be awarded in May during Haitian Heritage Month, to a student of Haitian decent. The awarded student will receive no less then a $500 scholarship to assist with additional educational expenses. This award can be used at any college or university in the United States.